Now interviewing couples for 2019. Reserve your date! Sweeping golf course views and an expansive ballroom make The Oasis an ideal choice for a wedding celebration. It’s conveniently located in Northeast Cincinnati and the staff is ready to make sure every detail goes perfectly for each bride and groom. We have always loved working with Cathy Humphries, Director of Sales, and she was so kind to recently share with us additional information about this beautiful venue. Q – What do you love most about your venue and what is one interesting fact about the Oasis? A – The physical feature I love best is the beautiful photo opportunities both inside and outside. The other thing I love about Oasis is the staff and their dedication to making every wedding an unforgettable experience. I guess an interesting fact is that we are a private golf course with a public conference center. Q – How many guests can the Oasis accommodate? A – We can accommodate a plated meal for 1000 people. For a wedding in one of our individual rooms, we can accommodate 50-300. Q – What is your favorite moment during a wedding or reception? A – I actually have 2 favorite moments…during a ceremony I love the moment between the bride and her dad just before she goes down the aisle. I always have tissues handy. For a reception, I would have to say it is the toasts. At this point, I get to learn even more about the couple. Q – What aspect of your job makes you excited? A – All of it! I love to get to know not just the couples but their families. I love it when we can make their wedding day everything they thought it would be. Q – A tip or two for couples that are looking for their perfect wedding venue? A – Know your style before you begin to look but be open to transforming a venue into what you want. Q – One thing you would like every couple to know before their wedding? A – Have realistic expectations. Realize something could go wrong and be ok with it. Q – Describe your venue in 3 adjectives. 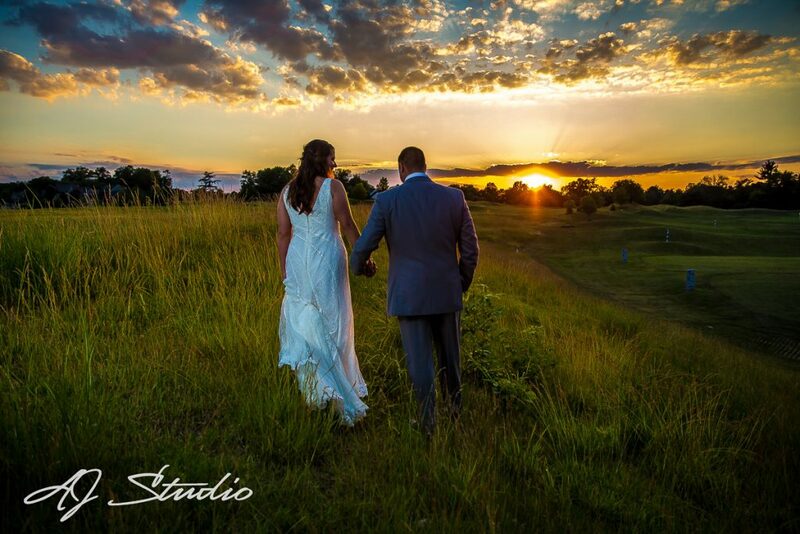 Click here to learn more about how AJ Studio can photograph your next event or wedding. Click here to learn more about The Oasis. This entry was posted in Wedding venues and tagged Cincinnati Wedding Photographers, Cincinnati Wedding Venues, The Oasis. We’re so glad you’re here! We love photographing weddings and love the clients we do it for. Sit back, relax and enjoy reading about some of our favorites! Click here to set up an appointment in our cozy studio in the Reading Bridal District. We can’t wait to meet you!